This Old El Paso™ recipe makes 10 Soft Tacos with Mexican Sausages. 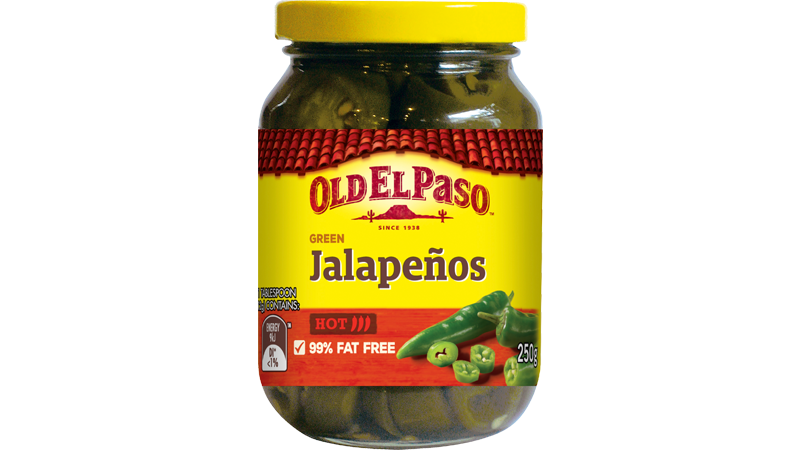 Using our Jalapeños and Soft Taco Kit, it’s so quick to prepare – a meal full of Mexican flavor in just 20 minutes! The recipe uses fresh ingredients like parsley, red capsicum, lettuce and grated light cheese. 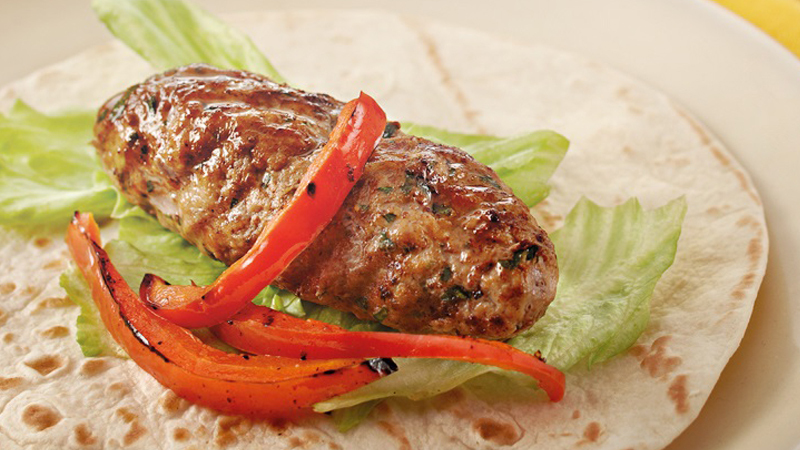 Combine beef mince, ½ sachet Taco Spice Mix (reserve remaining), onion, egg & parsley. Divide mixture into 10 portions and shape into 10 cm long, sausage shapes. Preheat barbecue or frying pan add oil and cook sausages for 10 minutes or until cooked through. Add capsicum and cook until lightly charred. For warm Soft Tacos, open Soft Taco pouch, discard Freshness Sachet. Microwave Soft Tacos in pouch on HIGH/1100 watts/100% power for 40 seconds* or remove from pouch, wrap in foil and heat in oven at 180ºC conventional (160°C fan forced) for 10 minutes. *Times may vary depending on microwave wattage. Decrease time for fewer Tortillas. Increase time when using a microwave oven lower than 1100 watts. 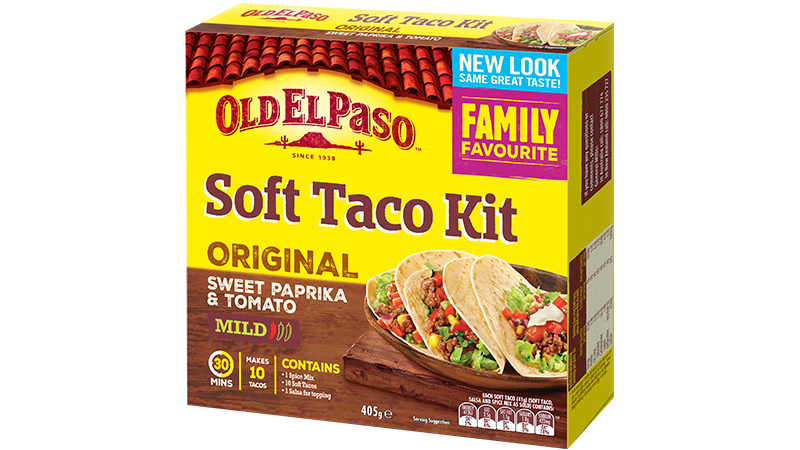 Place Tortillas, Mexican Sausages, capsicum, lettuce, cherry tomatoes, jalapenos, cheese and Taco Sauce onto a platter and let everyone build their own Soft Tacos, just the way they like!